They were a couple in love and had many things in common. Most of them was their love of nature. They loved to go on hiking tours and walk through the jungle. 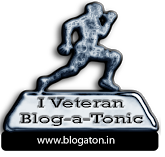 They were on yet another trip to a remote jungle in North India and were enjoying their walks to the quiet jungle where the only sound was made from birds, animals and wind through the leaves and there was no other noise pollution the kind we find in the cities. He saw a rare bird and in order to get a better angle for the photo took few steps to the side and found the ground to be little soft but since he had to get a quick shot he ignored it and clicked many photos of that bird. As he was clicking the photos he felt as he was going down and indeed he was and his wife shouted for him to look down and to his horror he was stuck in quicksand and going down. His wife told him not to move and went to get some help or something for him to grab. By the time she was back with a sturdy tree branch he was buried till his waist in the ground. She threw the branch to him and asked him to hold it tightly so that she can pull him out. But quicksand was too fast and she wasn't able to pull her husband out and he started panicking now and tried to get out but to no avail and within half an hour only his hands were out of the pit and she saw with eyes blurry with tears as the ground ate devoured him completely and after few minutes the quicksand pit leveled like nothing happened. Her lover, her love, her everything was lost, Nature had won again. 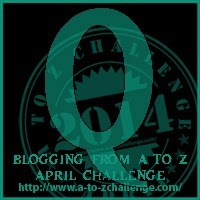 Entry for Blogging from A to Z April Challenge 2014. Letter Q. Thanks Cifar but why suicide guide, I don't think anyone's path to death was suicide in all 26 paths.